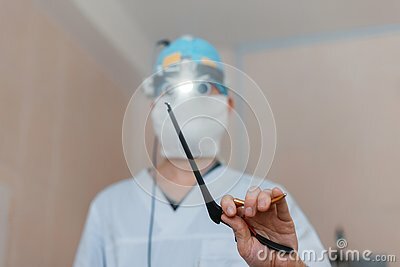 Man neurosurgeon in glasses with binary loupes for microsurgery shows a black clamp. Modern medicine. Medical instruments.